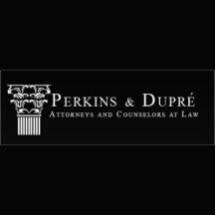 At Perkins & Dupré, Attorneys and Counselors at Law, LLC, in Zachary, Louisiana, we have served the legal needs of individuals, families and businesses throughout our community for more than 10 years. During that time, our law firm has earned a reputation as one of the top in the state for effective legal counsel and aggressive advocacy. Regardless of the circumstances surrounding your case or the complexities involved, you can trust our law firm to be the dependable legal ally you need, and we will work closely with you to devise customized solutions and strategies based on your specific needs and goals. For more information on how Perkins & Dupré, Attorneys and Counselors at Law, LLC, can best serve you, your family or your business, you can contact our law firm to schedule a free case evaluation.